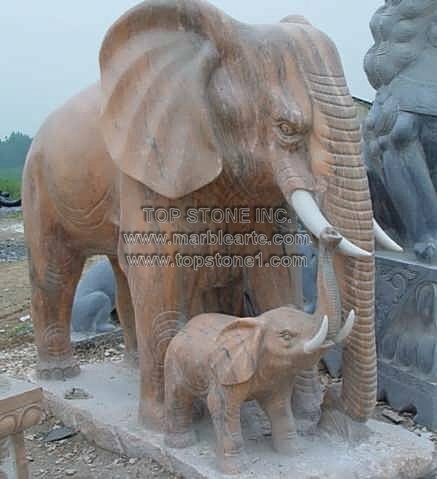 Description: TSAL003 - Mother’s Care is one of those marble statues life size, that emphasizes the beauty of marble elephant statues. With this magnificent marble stature, comes the intricate touch of the marble artist, who has brought to life not only marble animals, but as resplendent of all bonded marble statues, the close relationship of all life, animal or human, irrespectively. Get one of these garden sculptures today from marble sculptures for sale and set them up as garden ornaments, garden sculptures or whatever else your heart fancies.